This product is available at Aliexpress, Banggood, Amazon.com, LightInTheBox.com and MiniInTheBox.com, TOMTOP Technology Co., Ltd, FastTech, Gearbest, Ebay, DealExtreme. 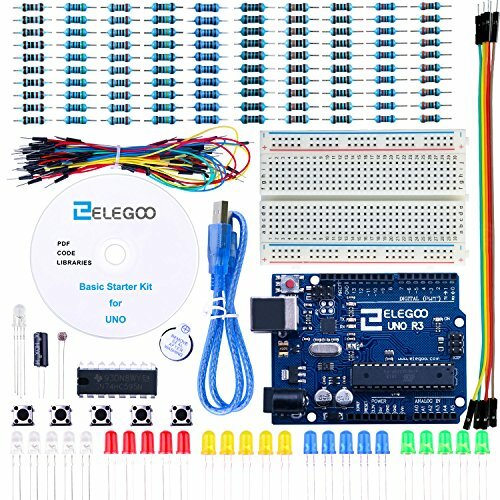 At aliexpress.com you can purchase Starter Kit UNO R3 mini Breadboard LED jumper wire button for Arduino for only $9.30, which is 89% less than the cost in Amazon.com ($87.90). The lowest price of ARDUINO K000007 The Starter Kit, 1.5" was obtained on 1 March 2019 2 h 05 min. Starter kit Arduino Uno Rev3 for beginner. ARDUINO K000007 The Starter Kit, 1.5"